Getting divorced is never an easy process, and it certainly complicates your income taxes. Whether you've finalized your divorce or you're still working through the details, knowing who gets the mortgage interest deduction will at least prevent any drama with the Internal Revenue Service. 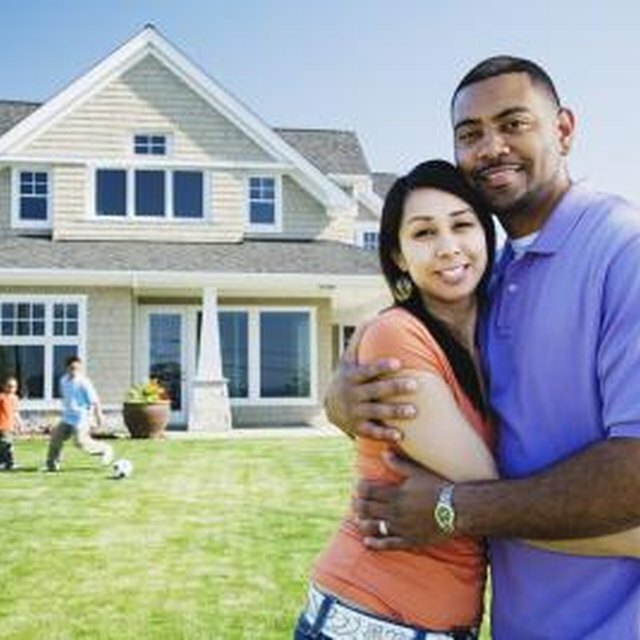 To qualify for the mortgage interest deduction, you must pay interest on a loan secured by a qualifying home. If you're still married and file separate returns, the interest deduction usually goes to the person who actually paid the interest during the year. For example, if you make all the mortgage payments, you get the entire deduction. Alternatively, if your soon-to-be ex makes the payments, he gets the deduction. But, if you live in a community property state, you split the mortgage interest deduction regardless of who paid the costs -- just like you split all of your other income and deductions. After the divorce, you can only claim the mortgage interest deduction if you're the one paying the mortgage and you're the one living in the home. For example, if you live in the home and you pay the mortgage, you don't have to share the deduction with your ex at all. But, the converse is also true: if your ex lives in the home and pays the interest, you don't get to claim any of the deduction. If you're required to pay interest for your ex-spouse even though you don't meet the requirements to deduct the interest any more, your payments might qualify for the alimony paid deduction instead of the mortgage interest deduction. You're allowed to claim the mortgage payments as a deductible alimony payment if you don't own the home. In other words, if your spouse owns the home, but you're required to make the mortgage payment, you treat the payment as alimony paid to your spouse. If you take out a new loan to buy out your ex-spouse's interest in the house, you can treat the loan as home acquisition debt. That means that you're allowed to deduct the interest on the first $1 million of debt, rather than being limited to the first $100,000 of debt that you would be limited to if it were treated as home equity debt. Smart Money: Should Married Couples File Separately?